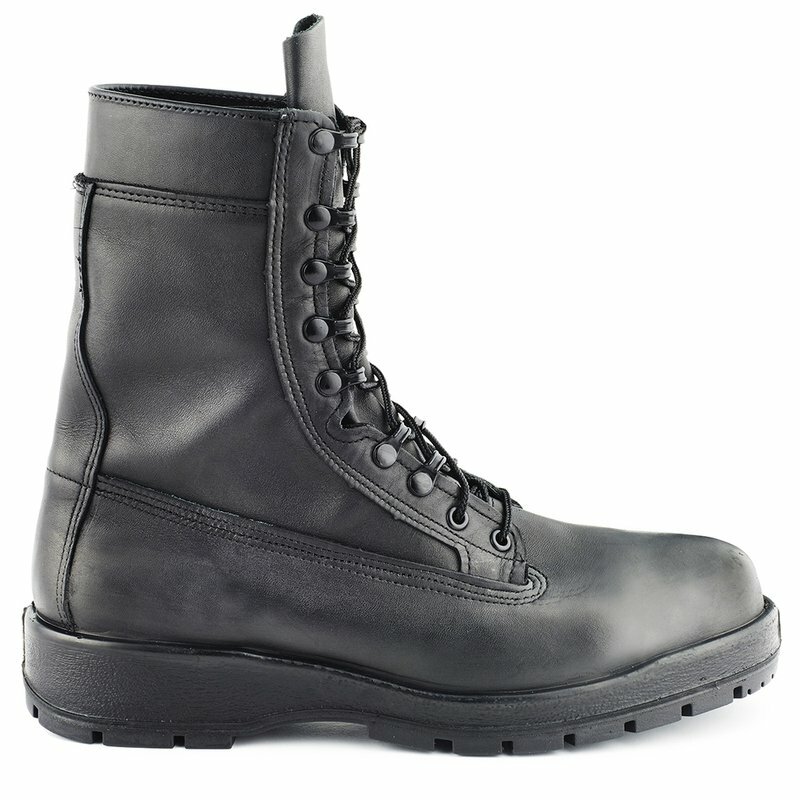 The men's 9" NWU Boot is a leather steel toe safety boot with a combination of eyelet and speed laces and a removable cloth covered polyurethane orthotic insole. 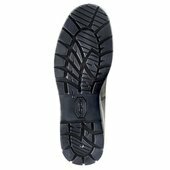 It's constructed with a one piece outsole and heel made of oil and fuel resistant rubber compound with traction and tread design. 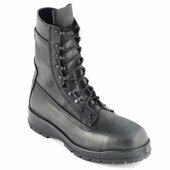 Polish with soft cloth and black shoe polish. 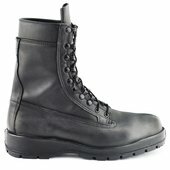 Do not expose boot to excessive heat to dry.